You'll fall in love with these incredibly beautiful charms! The car charms are suspended from a bead chain so you can easily attach the charm to the rear view mirror inside your car, purse or any where else you want to add some charm! 5 inches in length, excluding the chain. A genuine Austrian crystal is suspended from the bottom of the sun catcher so you can catch rainbows! The detail on these pieces are beyond belief! Give them a try and we promise you will be enchanted!! 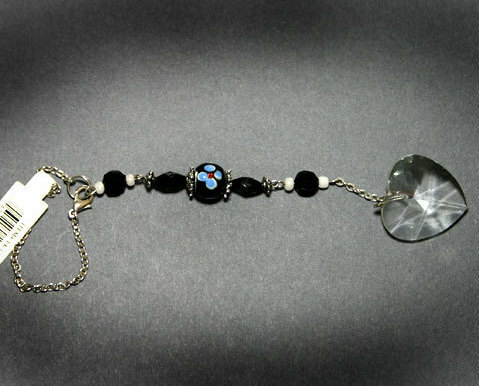 Primary Colors are Black, Blue, Silver White with dangling Clear Heart Prism. New!